Alfresco is committed to providing great service. If your Alfresco product needs service, please call (866) 203-5607. Please have the model number, serial number, and date of purchase available. A service representative will return your call within 48 hours. Service must be performed by authorized service personnel. If you have questions about how to use your Alfresco product, or need pre-sales support, please call (888) 383-8800. We truly appreciate that you have chosen to purchase an Alfresco and we want to help you protect your lifestyle enhancing investment. That’s why we back our products with one of the most comprehensive warranties in the business and why it’s so important to complete the Product Registration And Confirmation of Ownership form. The structural integrity of the stainless steel briquette trays, grill grates, and drip pans are warranted to be free from defects in material and workmanship, when subjected to normal operation and service in residential applications only, for a period of five years from the date of purchase. This warranty is limited to the replacement of the defective parts. All other grill components including igniters are warranted to be free from defects in material and workmanship for a period of two years from the original date of purchase. Alfresco will replace or repair parts found to be defective at no cost to the original purchaser. 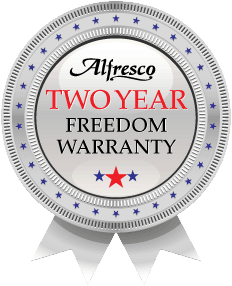 Alfresco’s warranty applies only to the original purchaser and may not be transferred. 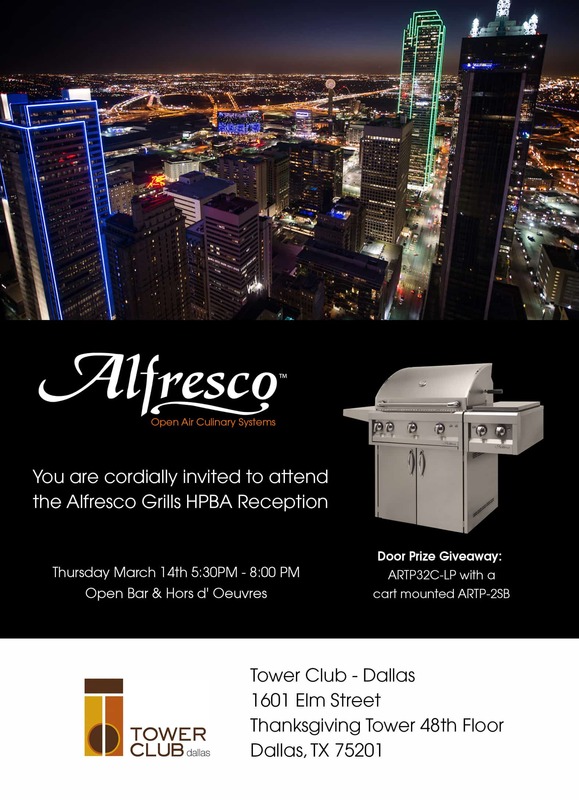 Alfresco’s warranty is in lieu of all other warranties, expressed or implied and all other obligations or liabilities related to the sale or use of its grill products. Alfresco’s warranty shall not apply and Alfresco is not responsible for damage resulting from misuse, abuse, alteration of or tampering with the appliance, accident, hostile environment, flare-up fires, improper installation, or installation not in accordance with the instructions contained in the User Manual, or the local codes. Alfresco shall not be liable for incidental, consequential, special or contingent damages resulting from its breach of this written warranty or any implied warranty. Some states do not allow limitations on how long an implied warranty lasts, or the exclusions of or limitations on consequential damages. This warranty gives you specific legal rights and you may have other rights, which vary from state to state. No one has the authority to add to or vary Alfresco’s warranty, or to create for Alfresco any other obligation or liability in connection with the sale or use of its products. Damage caused by accidents, abuse, alteration, misuse, an installation that is not in accordance with the instructions contained in the User Manual, or local codes. Units installed in non-residential applications such as retirement homes, restaurants, hotels, schools, etc. The cost of service calls to diagnose trouble; or removal or re-installation cost. If your grill has been purchased over the Internet from an unauthorized Alfresco dealer, the grill will be void of all warranty benefits.